Design is a process. This page is a collection of projects that illustrate the process, ranging from in production to finished, rough to polished, experimental to ruled and pratical. Many of the projects have links to more indepth pages, with additional images. Click on them to find out more! To view additional photographs of each project, click on the image or titles below. 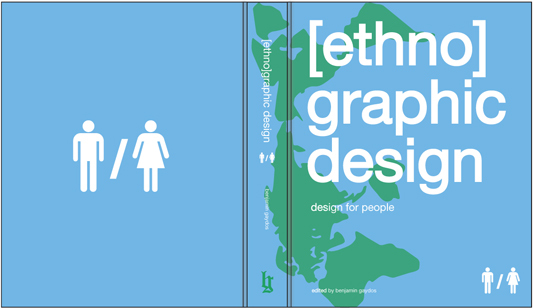 [ethno]graphic design is the title of my thesis, but it is also a way of thinking and creating. This approach to the design process stems from my background in Cultural Anthropology and Visual Studies, which I found greatly aid my understanding of Graphic Design. 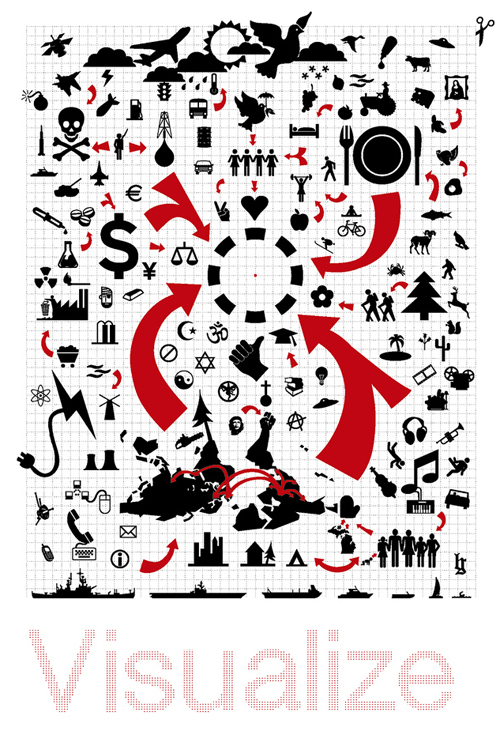 [ethno]graphic design employs various methods to aid in the design process, primarily participant observation, dialogue and collaborative participation, techniques the designer will always have at their disposal. 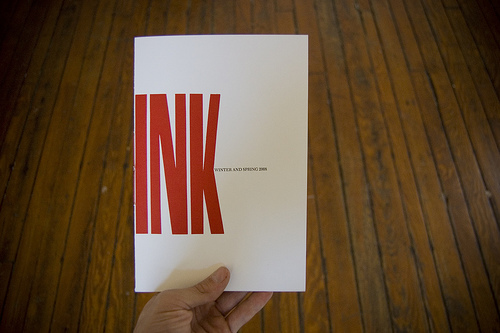 The premiere issue of the letterpress journal, thINK, is a collaboration between poets from around the US and students in the Graphic Design program at Virginia Commonwealth University (the Bowe House Press). The student's work was displayed at Chop Suey Books in Richmond, in an exhibition/poetry reading, THINK INK: Poetry and the Letterpress (May 9th, 2008). In addition to cover design, I facilitated the collaboration between the poets and student graphic designer and assisted Professor Jamie Mahoney in letterpress instruction. 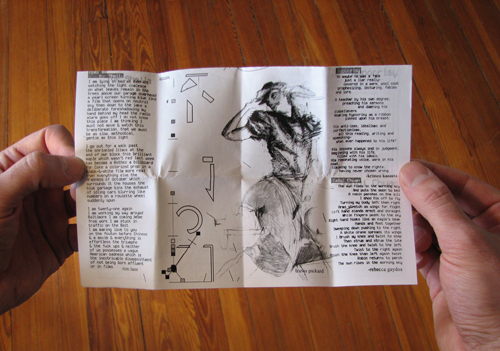 Check out more images of thINK and the exhibition, THINK INK: Poetry and the Letterpress. 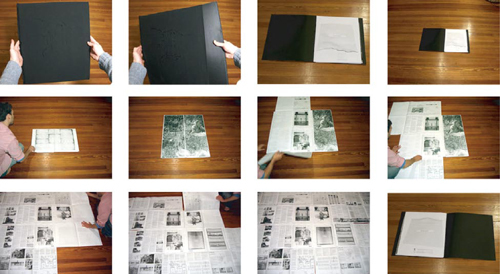 The project took on the form of a mixed media installation which combined video, ethnographic audio (interviews/field recordings) with print media, which served as an appendix to the five channel installation (see image to left). The appendix (which unfolds to 7’x10’) maps the conversations, paralleling each with the city’s history. This installation is the result of a long (4 year) meditation on the city of Detroit. 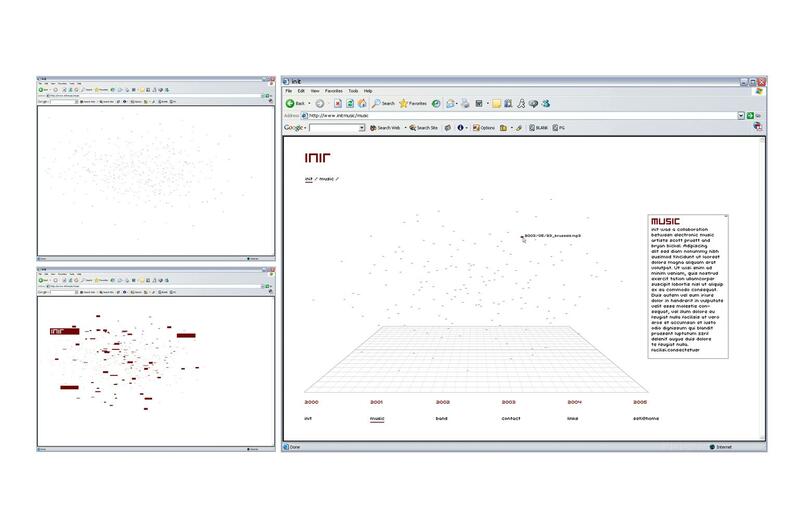 In Spring 2008, I taught a Senior-level course at Virginia Commonwealth University titled, Advance Sequential Design. The 14 graphic design students in the course were asked to reflect on McLuhan’s writings, their validity today, and respond with probes of their own. 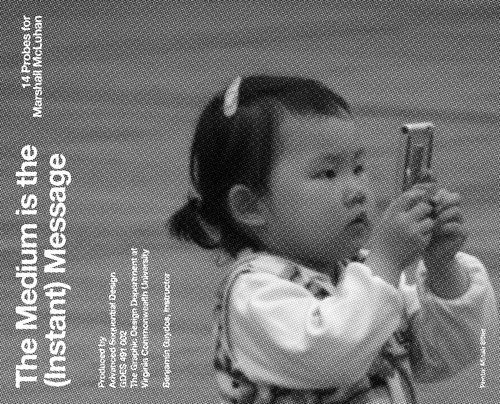 The Medium is the (Instant) Message is the result. Floyd 06-07, Color Offset, 2007, 6"x9"
University’s graduate design program. In addition to designing the spreads to the left, I compiled and authored the DVD supplement, designing the title intro, menus and navigation. Click here to see the more images or here to title intro. 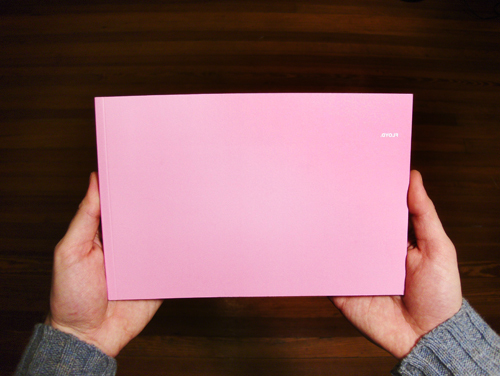 jowai is the Outside Circle Collective’s publication documenting the written and 2-D visual creative work of it’s international membership. 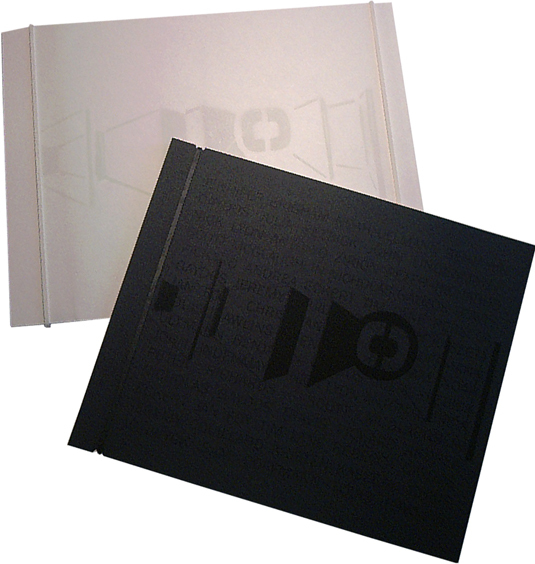 This economically and ecologically designed book features a slip cover with white transfer and origami, a rubber band binding to allow for removable pages which can be pieced together as a 2’x7’ mural. Click here for more info+images. The precursor to jowai (see above), [min]jowai is a free arts and literature zine promoting artists produced by the Outside Circle Collective. 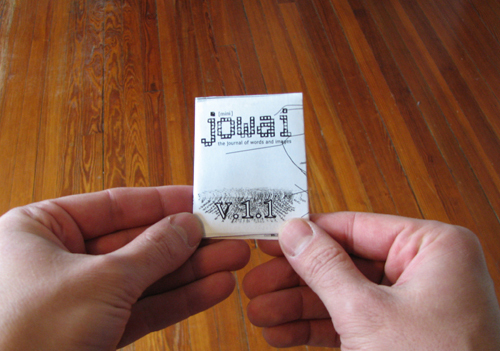 [mini] jowai folds from a letter or A4 size poster into a 5 page booklet. The Shop RVA book is the product of a cross-disciplinary class project taught by anthropologist Julia Yezbick and I at Virginia Commonwealth University, Design, Anthropology and the Community. Shop RVA aims to create bridges within the community and foster an awareness of the locally owned businesses in Richmond, Virginia and the benefits that shopping locally can bring to our neighborhoods. 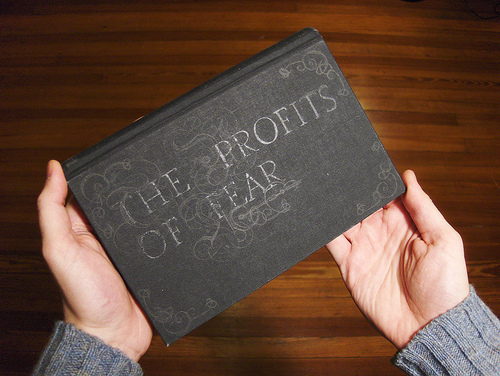 This book was the result of a fruitful collaboration between shop-owners and students in the graphic design and anthropology programs at VCU. 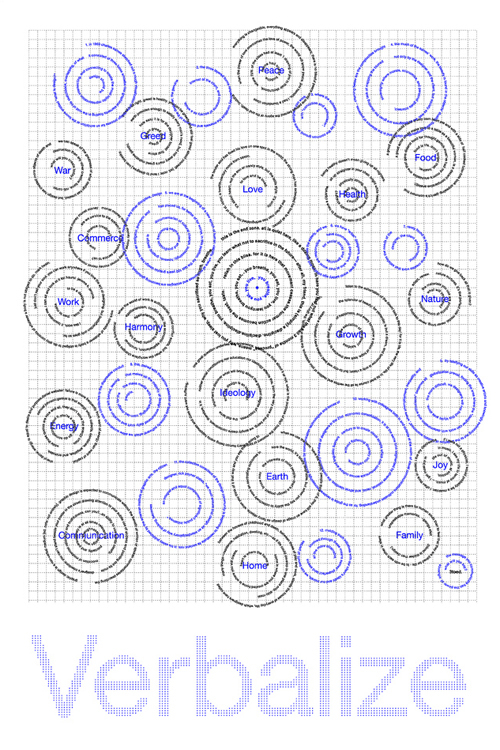 This project is available for free download, or can be printed at cost. Visit the Shop RVA website. iflict resolution and the marriage of media and politics, to the elasticity of history, among a great many of other issues. uence on this book was the documentary, The Power of Nightmares, by Adam Curtis. Much of the informations presented on these pages is derived from that film. It was my impetus to encourage exploration of the history of the two groups presented through this overview, and Mr. Curtis’ film is an amazing, albiet controversial, departure point. 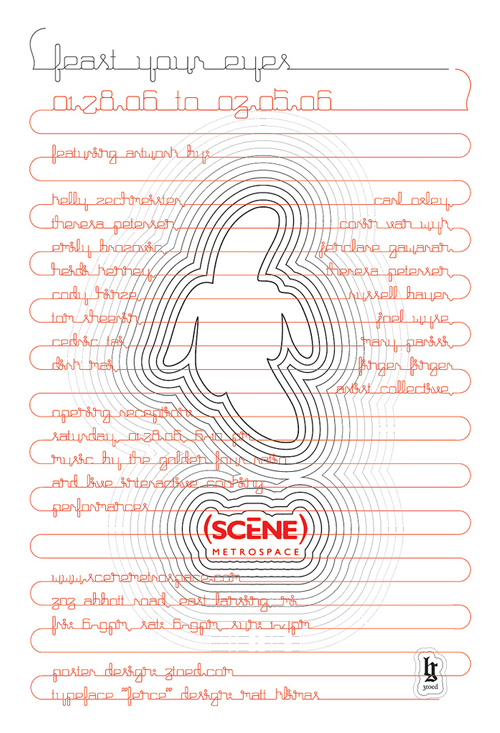 An evening of live audio-visual performances by artists, musicians and filmmakers exploring the sensual synthesis of sight and sound. 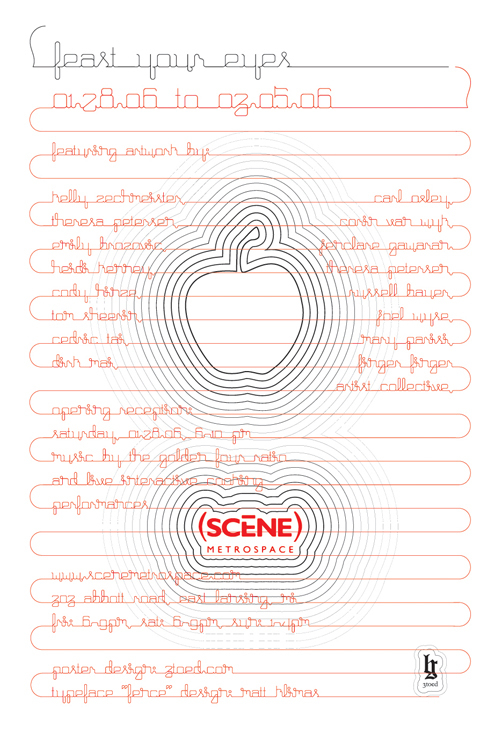 Featuring Detroit original A\V unit Shenanigans.tv, Richmond's ILAD (with moving images by Sloth+Owl), and Noun performed "Corporeal", a vaudial poem in 5 acts. Tasty treats for the eyes and ears! In a graduate workshop we were asked to reexamine “objective visual design” and whether or not it is still relevant today. Our final project was to represent our design process using the International Style as inspiration. The posters were on display in the Pollak building on VCU’s campus from May-September, 2006. 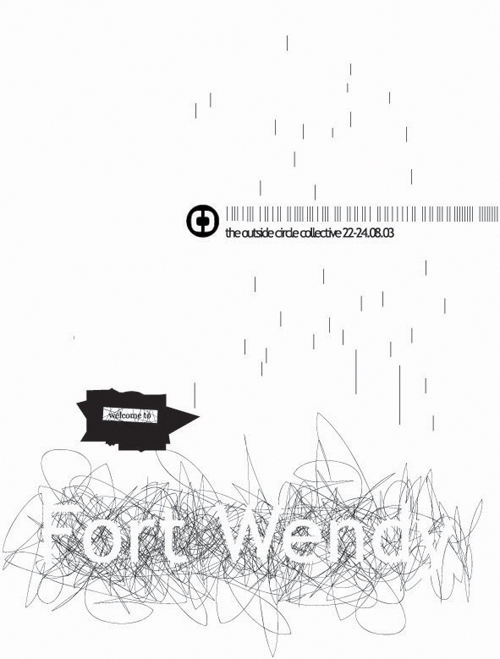 The Poster for the Outside Circle Collective’s weekend “artists retreat” at Fort Wendy uses a minimalist design palette created for the website, but invokes an organic feeling of the site’s landscape. The Outside Circle Collective (OCC) is an online community of artists centered around the creation and apportion of art. 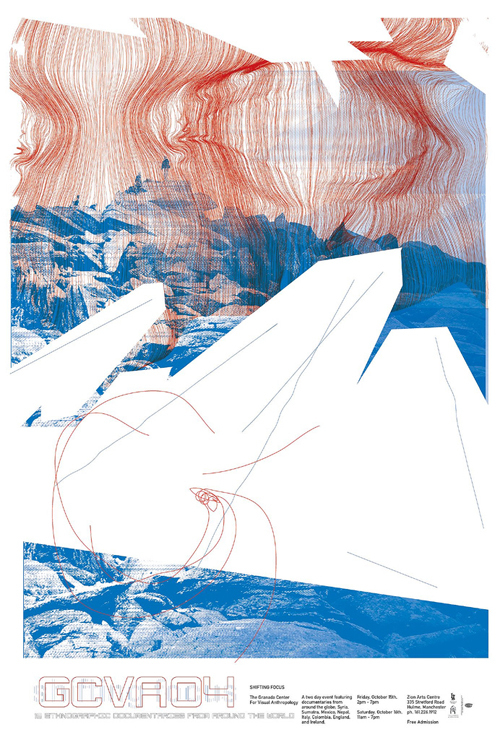 Started by a group of artists longing for a creative organization which would promote their work as well as encourage creative collaboration, OCC has hosted artists retreats, organized arts evens and exhibitions, and produced two periodical art journals (The Journal of Words and Images and The Journal of Motion and Sound). I have served as the creative director and designer for the non-profit since it's inception in 2003. 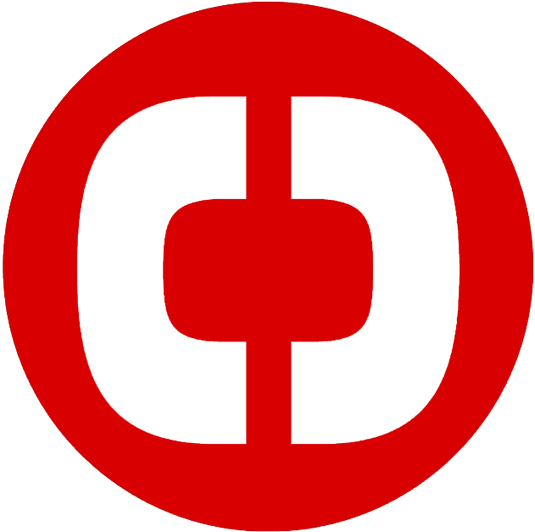 As every article of clothing and accessory Nayiri makes comes with a button, focusing on that unique element became a priority in the logo design. The logo is a modular system three different elements that can stand alone: the signature logotype, the button "talk bubble" and the button-hole "accents". The modular system allows for diversity in appearance and an additional level of secondary usage. 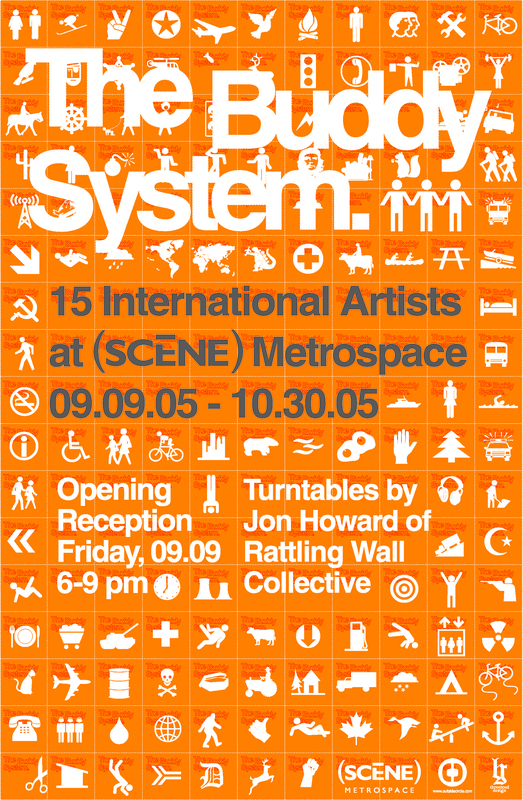 The Init Identity system and website (below) were designed for a Detroit based electronic duo, now defunct after friend and founding member Bryan Bickel passed away in 2004. As a tribute, the other half of the duo, Scott Pruett, wished to create a website releasing all of the band’s known recorded tracks online. I designed the website and logo in memory of Bryan, whose love of minimalist design, astronomy, and quantitative graphics were referenced throughout the piece. The Travel Industry of America asked VCU’s Adcenter and GDES Design program to develop a logo and ad campaign for them. I created the Community Star logo and worked in a stellar design team, consiting of 6 VCU design students, on a complete brand strategy. Dynamic and diverse, the community star is an icon that symbolizes the United States celebrated independence. ‘Discover’ is an active invitation to engage with the unknown… with the ability to find your own answer. ‘us’ as a shorthand play on United States’ speaks to the brand dimension ‘shared experience’… an open, inclusive dialogue where there are no boundaries between host and guest. As a tourism and travel brand, the arrows which compose the community star directly reference an iconic travel indicator understood by explorers from any market segment. I designed and authored a DVD compilation of the work of anthropologist and filmmaker, Julia Yezbick (collaborator, co-author and my better half). The system designed for the DVD menu was translated to work in the packaging, allowing the view to make the connection between the film with the title and descriptions contained on and in the case. To view the dvd menu/intro click here. I was given the task of compiling and designing the time-based portion of the exhibition. 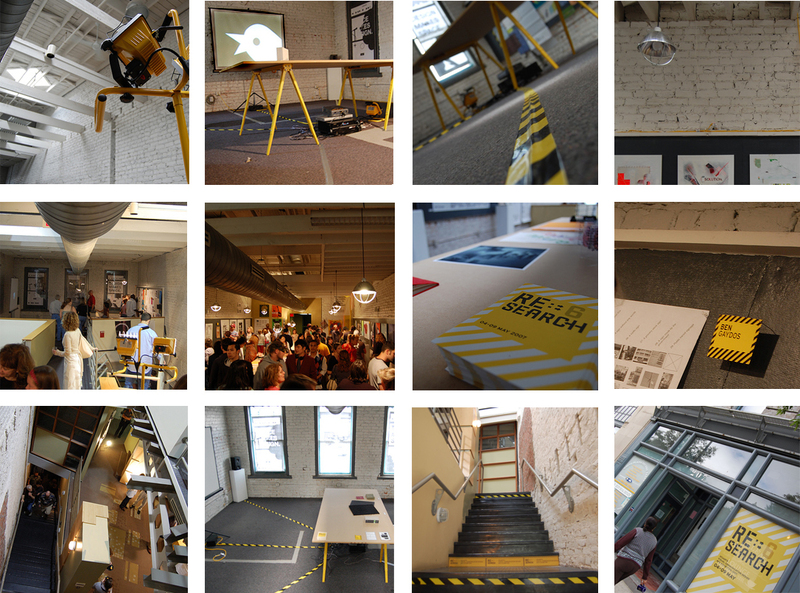 There were a handful of works created by the grads that had both digital and print components. This navigation screen helped viewers to understand the relationship between what they were view with the print media in front of them (see photos from the exhibition above). For our VCU Visual Communication/ Design MFA exhibition, we second years (Heather Boone, Ben Gaydos, Jinny Kim, Matt Klimas, Karen Stein and Todd Timney) were given 3 days to turn a former office space into a gallery space. We decided that we all liked yellow and got to work. 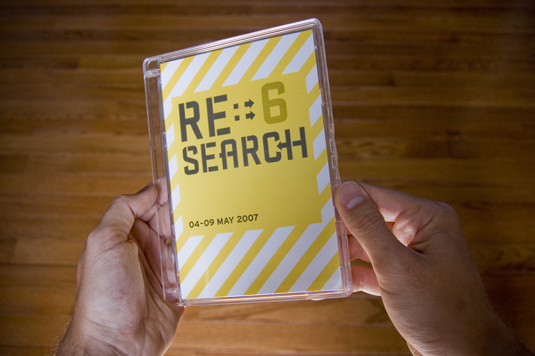 In 2005, I spent 3 exciting months as an intern at Designatics, a design firm in Cologne that specializes in industrial, exhibition and graphic design. I focused primarily on exhibition design and craft, developing skills in both workshop production and in planning/ project development (in addition to brushing up on my German language skills). On this particular project, I worked with a large team on craft as well as designing all of the typographic and wayfinding signage. 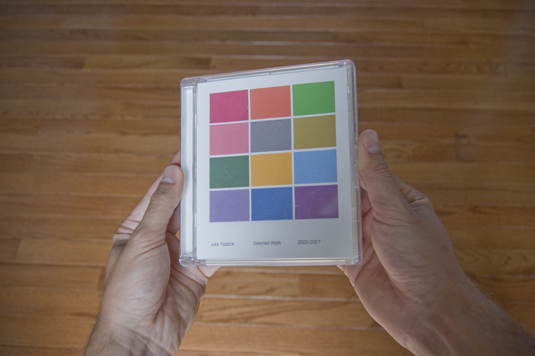 I worked closely with the web designer to develop a strong minimalist design palette that is cohesive, focuses on usability, pushes the artwork to the front, and is easy to navigate. 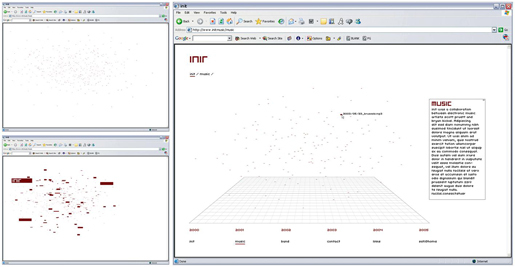 Click on the image to the left to view a close-up, or click here to go to the site. 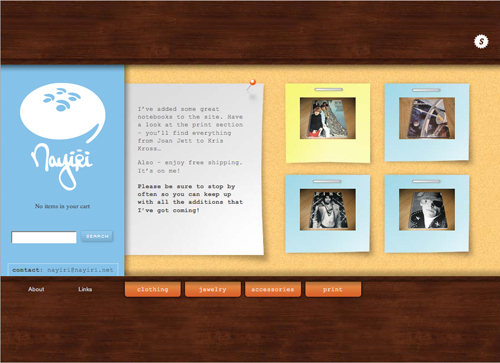 Functionality was key in designing Nayiri's site, but we were able to balance clarity and usability with an interface that spoke to Nayiri's unique approach to a fashion line—hand-made, fun and bright. 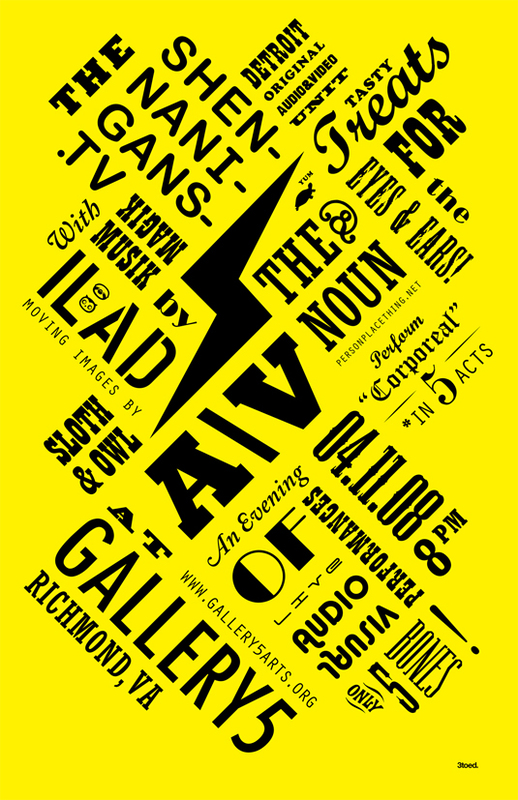 [ethno]graphic design is a site created for my MFA thesis while at Virgina Commonwealth University. 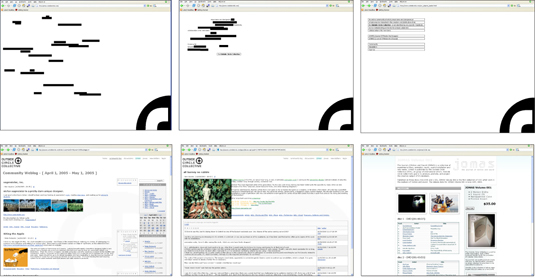 The website was created as a resource for all people who want to explore visual languages, such as graphic design, and how we use it to communicate with one another. 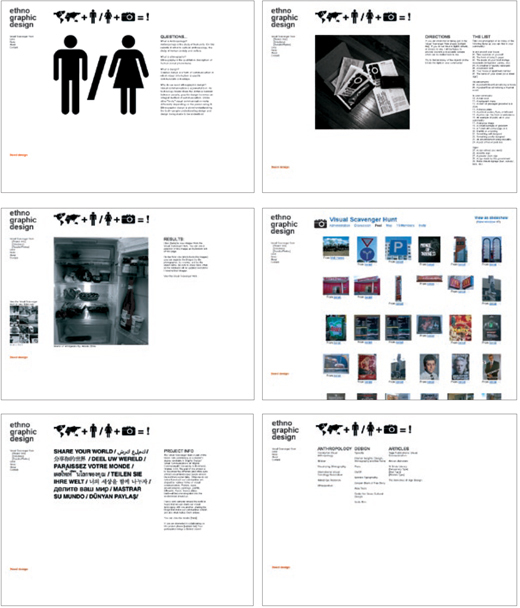 The Init Identity system (above) and website were designed for a Detroit based electronic duo, now defunct after friend and founding member Bryan Bickel passed away in 2004. As a tribute, the other half of the duo, Scott Pruett, wished to create a website releasing all of the band’s known recorded tracks online. I designed the website and logo in memory of Bryan, whose love of minimalist design, astronomy, and quantitative graphics were referenced throughout the piece.